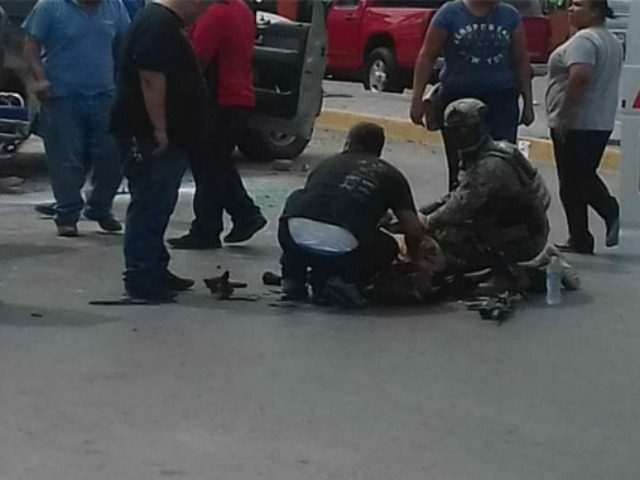 RIO BRAVO, Tamaulipas — Cartel gunmen injured three Mexican marines during a brazen attack in this border city where they rammed a military SUV causing it to roll over multiple times. While Mexican authorities have not released information related to the attack, Cartel Chronicle sources were able to reveal that the attack took place this week in the border city of Rio Bravo which is immediately south of Donna, Texas. While patrolling the city, a group of Mexican marines encountered a convoy of gunmen riding in SUVs. The gunmen began firing at the military troops and dispersed in an apparent effort to escape. The military tried to stop one of the vehicles and chased them down one of the main avenues in the city. Another SUV filled with cartel gunmen rammed one of the military vehicles causing it to spin out and rollover. 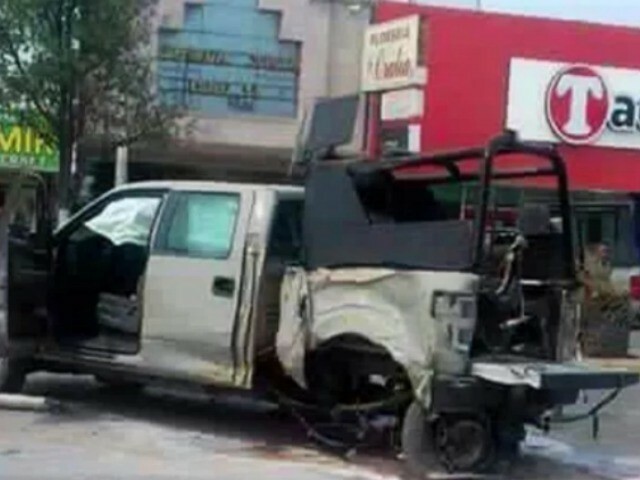 The crash left three Mexican marines injured while the gunmen managed to escape. Citizens who had sought cover during the chase ran to help out the military troops. 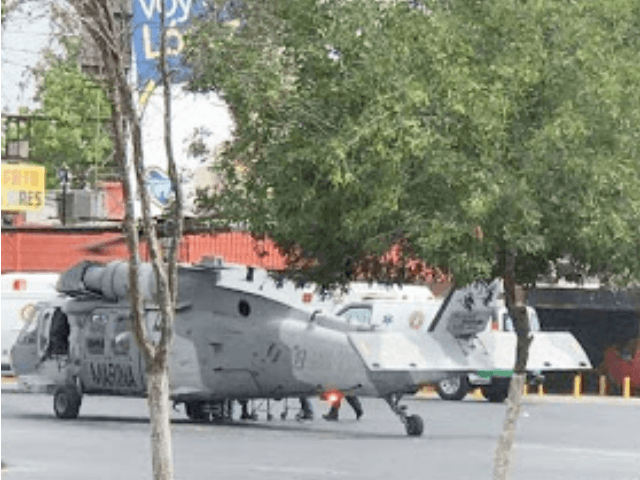 A Mexican military helicopter circled the area and landed in order to protect the wounded troops. The violence in Rio Bravo follows more than three weeks of clashes, shootings, and kidnappings that have descended on the nearby border city of Reynosa. Breitbart Texas reported, rival factions of the Gulf Cartel continue to fight for control of the region. The raging violence has already resulted in more than 30 deaths including a police officer and at least one innocent bystander. In Rio Bravo, the Gulf Cartel is led by Luis Alberto “El Pelochas or M-28” Blanco Flores, a cartel commander who previously spent time in a U.S. federal prison. Breitbart Texas reported that Blanco Flores was arrested in 2010 in Brownsville, reached a deal with prosecutors and was given only two years in prison. During one of those hearings, Blanco Flores began to cry loudly when he saw his mother in the courtroom. Editor’s Note: Breitbart Texas traveled to the Mexican States of Tamaulipas, Coahuila, and Nuevo León to recruit citizen journalists willing to risk their lives and expose the cartels silencing their communities. 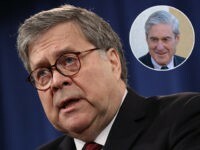 The writers would face certain death at the hands of the various cartels that operate in those areas including the Gulf Cartel and Los Zetas if a pseudonym were not used. Breitbart Texas’ Cartel Chronicles are published in both English and in their original Spanish. 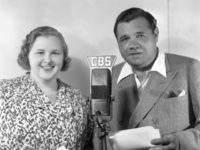 This article was written by “A.C. Del Angel” from Reynosa, Tamaulipas, “J.A. Espinoza” from Matamoros, Tamaulipas, and Breitbart Texas’ Ildefonso Ortiz.